ITER worksite in August 2017. Nuclear fusion is considered today the only source of limitless clean power that can solve the energy problem on planet Earth. 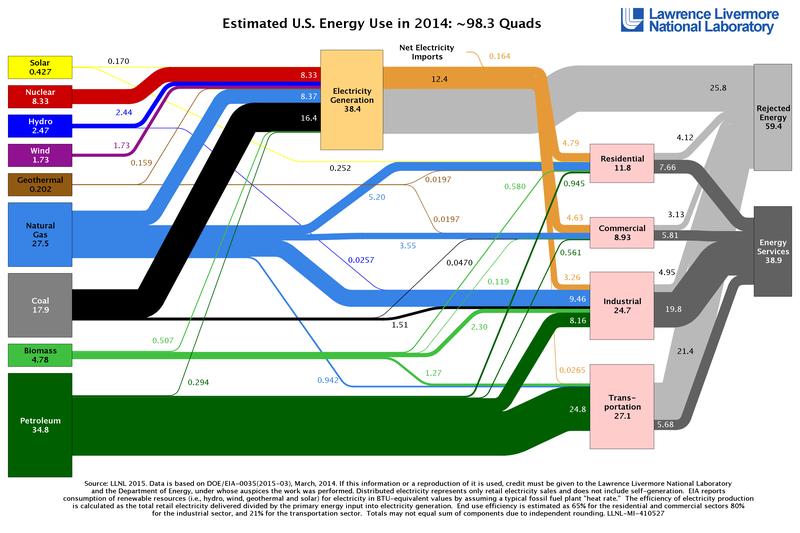 With the development of the human society, the energy demand increases year after year, and because we mostly rely on fossil fuels to cover the energy demand, we have only managed to massively pollute the air, the soil and the water on the planet. Nuclear fusion is a thermonuclear process in which two small nuclei (usually hydrogen) are fused together to make a larger nucleus (helium) and release a large amount of clean power and no harmful nuclear waste. Being a thermonuclear process, it means that the ingredients of this nuclear reaction have to be extremely hot, actually, so hot that the atoms must be stripped down of their electrons to produce a plasma in which nuclei and electrons will bounce freely. Nuclei are positively charged, so they will repel each other, and to overcome this repulsion, the particles must move very, very fast, and this can be achieved only by reaching a temperature that is extremely high (millions of degrees). Stars can achieve easily such high temperatures because they are very massive and the pressure in their core generates the heat that makes the nuclei to be squeezed together until they fuse and form heavier nuclei while releasing energy. The differences between nuclear fusion and nuclear fission (which is used today in the nuclear power plants) are pretty big. A power plant using nuclear fusion will never produce a meltdown of the reactor (it’s impossible), and will produce a small amount of waste that will only live a short period of time. How Can We Produce Nuclear Fusion Here on the Planet? Here on Earth, we can’t use the massive force of the stars to produce the nuclear fusion reaction, so we need to build a nuclear reactor that can generate clean energy from the fusion reaction in safe conditions. Today, scientists rely on two different ways of producing plasma that is hot enough to make the nuclei fuse into heavier nuclei. This type of fusion reactor uses a magnetic field that squeezes the plasma in a donut-shaped chamber where the nuclear reactions are taking place. 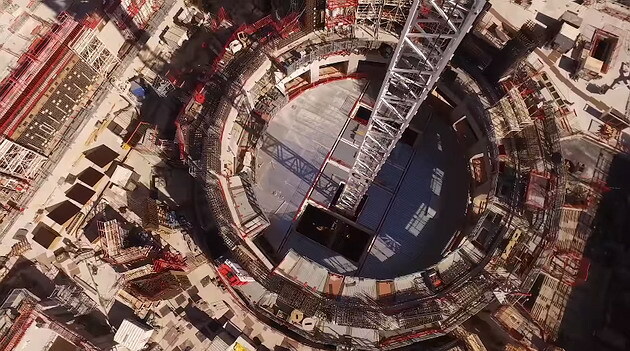 ITER (International Thermonuclear Experimental Reactor) is the largest fusion experiment in the world today that is located in Southern France and reunites a number of 35 countries in the attempt to build a Tokamak reactor, which will prove that nuclear fusion is a viable, and a large-scale source of clean power on the planet. 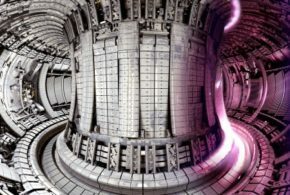 The Tokamak reactor built by ITER in France uses superconducting electromagnets cooled with liquid helium (-269 °C), and will host a very hot plasma reaching some of the highest temperature in the known universe (150,000,000 °C). 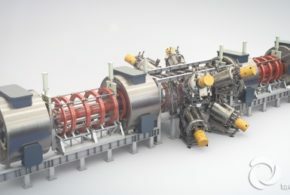 This type of fusion reactor uses high-powered lasers (infrared and ultraviolet lasers) to heat the surface of a pellet of fuel until imploding and making the fuel hot and dense enough to fuse. 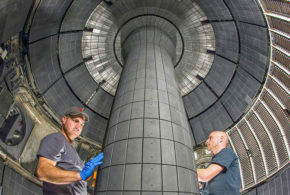 The National Ignition Facility in the U.S. (NIF) uses one of the most powerful lasers in the world for fusion experiments. 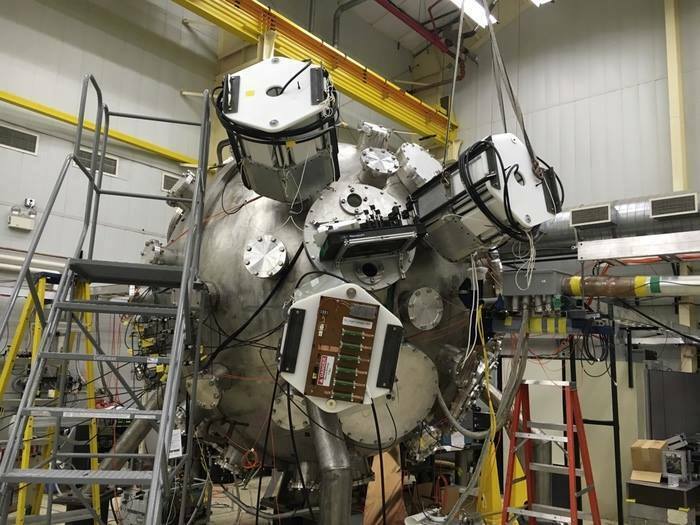 However, for the moment, all these experiments (ITER in France, Vendelstein in Germany, NIF in the U.S., Sandia National Labs in New Mexico, General Fusion in Canada and many others) remain only at the level of lab experiments. Even if nuclear fusion has been already achieved by a few experimental projects, the amount of energy consumed in the process is higher than the amount of energy produced, so the technology involving nuclear fusion has a long way to go until will become commercially viable. If the nuclear fusion reaction will become available to mankind, a single glass of sea water will be enough to produce the same amount of energy as burning a barrel of oil, but without releasing harmful waste. 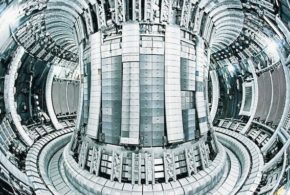 What Fuels Can We Use to Power the Nuclear Fusion Reaction? Fusion reactors are using hydrogen or helium as fuel, but not the usual hydrogen, specific isotopes with extra neutrons such as deuterium (2H) and tritium (3H) are required to produce the fusion reaction. Deuterium is stable and is very abundant in nature (deuterium is present in seawater), but tritium is more tricky because is radioactive and there are only about 40 pounds of tritium on the entire planet (most of it being located in nuclear warheads, which means that is extremely expensive). Because tritium is so rare and expensive, scientists have found that helium-3 is the perfect substitute of it. Sadly, helium-3 is also very rare on planet Earth, but luckily, the Moon seems to be the answer to this matter. Over the period of billions of years, the solar wind has built up huge deposits of helium-3 on the Moon’s surface, so instead of producing helium-3 here on Earth, we can mine it on the Moon. The lunar dust is full of helium-3, and if we find a way to get helium-3 from the lunar dust, we can say that we have found a source of fuel for the nuclear fusion reaction that can power the mankind for thousands of years. 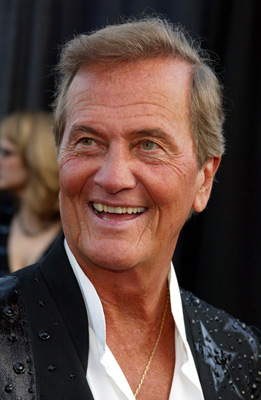 This is another reason to establish a moon base, and start mining the lunar dust for helium-3. There is another reason why tritium is not a proper fuel for the nuclear fusion reaction. I mentioned before that tritium is a radioactive element, so in case of a leak, tritium can pose a threat to all the living beings in the area. Tritium can bond with the oxygen in the water and can produce radioactive water, which can be dangerous for the environment. How Safe is a Power Plant Using the Nuclear Fusion Reaction? A power plant using the nuclear fusion reaction is not like the nuclear power stations used today. We know that the history has already witnessed several nuclear disasters that have had disastrous consequences for the environment. 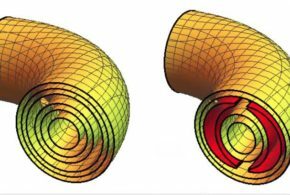 A nuclear power station using the fission reaction can melt down catastrophically in case of an accident, but in case of the power plant using the nuclear fusion reaction, if the confinement reactor is failing, the plasma would expand and cool, and the fusion reaction would stop. The nuclear fusion reactor is not a bomb, so is way more safe and clean than the nuclear reactors used today for fission. A release of tritium into the environment could pose a threat to all living beings in the area, but fortunately, only a few grams of tritium are in use at a given time, so any leak would be diluted right away. 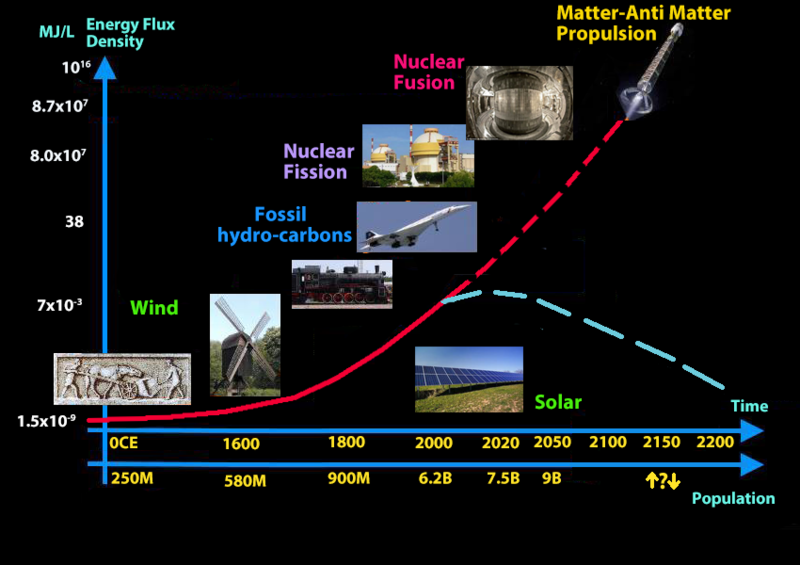 We are not sure yet if mankind will be ever able to master the nuclear fusion reaction here on the planet, but luckily, besides the investments and R&D in nuclear fusion, there are other sources of clean energy that have proven to be viable, so the future for us will surely be green and healthy, like it was centuries ago before the industrial revolution.